When head coach Yeng Guiao lays down the gauntlet, the Rain or Shine Elasto Painters are at their best. 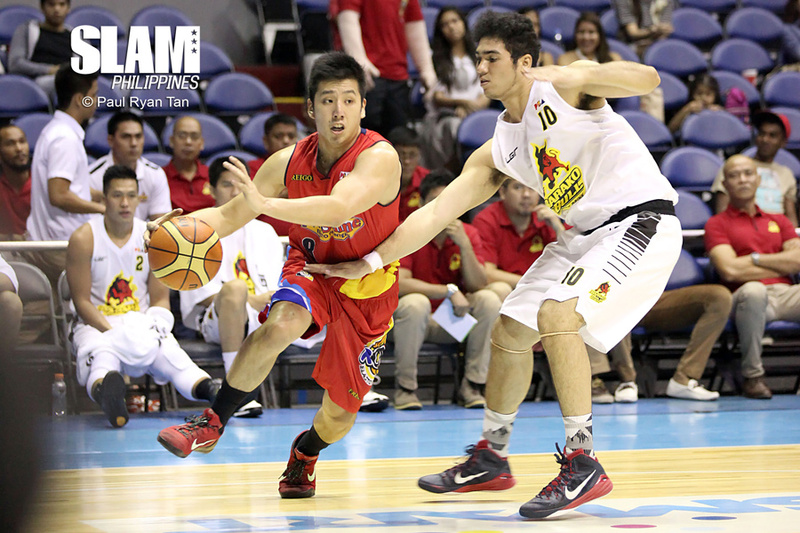 Playing under the threat of trades, the Painters handily defeated the Barako Bull Energy 99-71. Rain or Shine built a 20-point lead in the first quarter at 25-5 and never looked back. First off, let me just say that the game was absolutely painful to watch. For those lucky enough to not be stuck in Manila Friday night traffic, watching the Rain or Shine versus Barako Bull could have felt as painful. Prior to this game, Rain or Shine had only defeated expansion clubs Kia Sorento and Blackwater Elite, not really a good gauge of how good their team is. They lost to the San Miguel Beermen and the Talk ‘N Text Tropang Texters, which made some people feel as if they’ve hit a wall. It was a good working hypothesis. Almost all teams got better except for Purefoods and Rain or Shine, the two most successful teams last season. With Rain or Shine not having the best of starts, Coach Guiao decided it was the best time to rock the boat. The result? A 23-point, 10-rebound performance from Jeff Chan. The Gilas shooter has been struggling in their first four games, but he finally broke through against Barako Bull. He also added a career-high 10 rebounds. The win over Barako Bull should put the trade rumors for Rain or Shine at bay. Also, there is no truth to the rumor that Barako Bull head coach Koy Banal will try the same “win or we’ll trade you” threat in their next game, because the Energy have gotten use to the feeling already by now. Also, also, it would not work for Barako Bull because those who play really good are often the one who are traded. Not the other way around. Also, also, also, the Painters actually like being in Rain or Shine (when they’re not being told by their agents to feel otherwise). I don’t think the same could be said for players in Barako Bull.